Delaware Limited Partnerships, Limited Liability Companies, and General Partnerships formed or registered in Delaware are required to pay an annual tax of $300.00 to the State of Delaware no later than June 1, 2017.This annual tax covers the prior calendar year of existence. There is no requirement for these entity types to file an Annual Report. By now you should have received the paper notice from your Registered Agent reminding you of that due date and the amount due. Below are some answers to frequently asked questions to help guide you with making your franchise tax payments and ensure you maintain the good standing of your Delaware Limited Partnership, Limited Liability Company or General Partnership. Payment must be made directly to the State of Delaware. You may pay online by credit card (Visa, Master Card, American Express, Discover) at: http://corp.delaware.gov/paytaxes.shtml. Payments by wire are not permitted. In addition, if you are paying by check, the State of Delaware will only allow you to include payment for up to 25 entities on a single check. How Do I Find My Entity’s Business File Number? You will need your entity’s business file number to pay your taxes online. The entity file number may be found on the notice you received from your Registered Agent, or on the Delaware Secretary of State’s entity search portal. Simply type the name of your entity into the search screen and you will receive a summary of the information on record in Delaware, including the file number. The link for the search portal is: https://icis.corp.delaware.gov/Ecorp/EntitySearch/NameSearch.aspx. What Happens if I Fail to Pay My Franchise Tax? 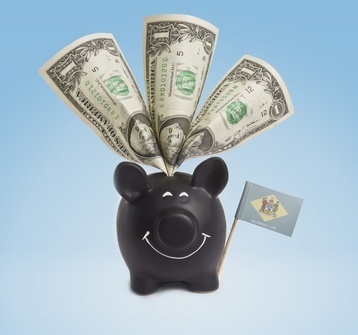 Delaware will assess a penalty of $200.00 for non-payment or late payment plus interest which will accrue on the tax and penalty at the rate of 1.5% per month. If franchise tax payment is not made for 3 consecutive years, the Delaware entity will be deemed void on the Secretary of State’s records. However, the Delaware statutes include provisions to allow you to reinstate the entity by filing a Certificate of Reinstatement and paying all past due taxes, penalties and interest. Your Registered Agent can assist you with this filing if needed. What if I Have Questions About My Franchise Tax? For information regarding the annual franchise at 302-739-3073 or visit http://corp.delaware.gov.